I recently had an amazing ascension experience while meditating with the Earth and the Sun. I was following the Heaven and Earth Unity Breath Meditation, an ancient spiritual practice used by cultures around the world, including the Maori, Zulu and Mayans, to name a few. I began by envisioning my happy place: a tropical beach. I savoured the feel of my toes in the fine white sand; the warmth of the Sun on my skin, and the soft, tropical breezes flowing through my hair. I relaxed into the rhythmic sound of the waves lapping at the beach. I soaked up the beauty of the aqua coloured water and the deep blue, cloudless sky. When my heart was full of love and appreciation for Mother Earth, I bundled that emotion into an orb and sent it down through my prana tube, deep into the Earth, all the way to the heart of Gaia. I felt her receive the gift of my love. I stayed open, relaxed and connected to her, enjoying the full-body relaxation and peace of mind. A moment later, I felt a gentle surge of energy coming up my prana tube, and then flowing into my heart. It was a cascade of loving energy from Mother Earth. My connection with the Divine Feminine filled my heart and flowed throughout my being, filling me with profound Love. While maintaining this connection with the Earth, I opened my heart to Father Sun. I felt the depth of my love for the Sun’s heat; joy, and life-giving energy. I then put that heartfelt love into an orb. It travelled up through my prana tube to the heart of the Sun. After a moment, I felt the energy of love streaming from Father Sun down into my heart. My connection with the Divine Masculine joyfully beamed outwards in all directions, filling my entire Being with radiant Light. As I basked in the glow of Love and Light, I felt the Divine Mother and Father come together in a blissful union. I felt thoroughly ensconced in their love, safe in the feeling that I was a child of the Divine. From this trinity, my consciousness expanded outward in all directions until it encompassed the multiverse. I felt a stirring connection to the Divine Creator. A surge of energy flowed through my Being, and then the most remarkable thing happened. I saw and felt myself being reborn. I appeared to be a glowing, egg-shaped golden light emerging from my divine parents’ energetic union. 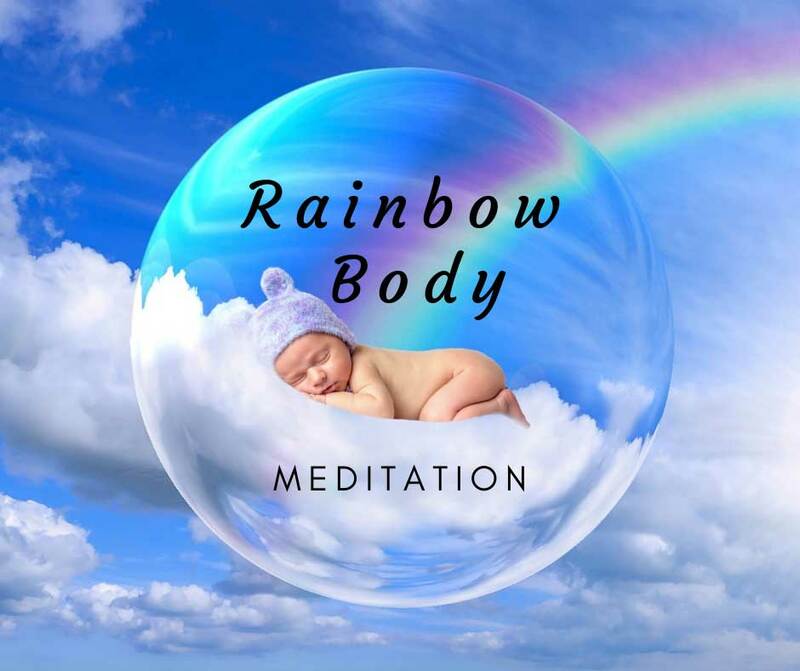 After I was blissfully birthed, I expanded into a radiant rainbow lightbody. I felt as if I had ascended. This vision, along with the profound feelings it evoked in me, was so overwhelming that I started to sob. I finished the meditation with tears streaming down my face. The experience was profoundly moving and transformational. If you wish to aid your ascension process, I highly encourage you to include this meditation in your daily spiritual practice. You may not have the same experience as me, but you will greatly benefit from rediscovering your loving connection with the Divine Mother and Father. Oh, Kimmy, that is so profoundly beautiful! Thank you so much for sharing. It reminds me that there are so many gifts at our fingertips and all we have to do is settle into them. We can bring them to us, we don’t have to wait to get to the ocean or mountain or wherever our happy place is in order to receive. And we can circumvent the “how will I get time off work, can I afford it, what if, what if, what if” part of the equation! We can just go directly there! Love you so much, Sister! !